Villa Verano is a magnificently sprawling Mediterranean Estate on more than 13 acres. 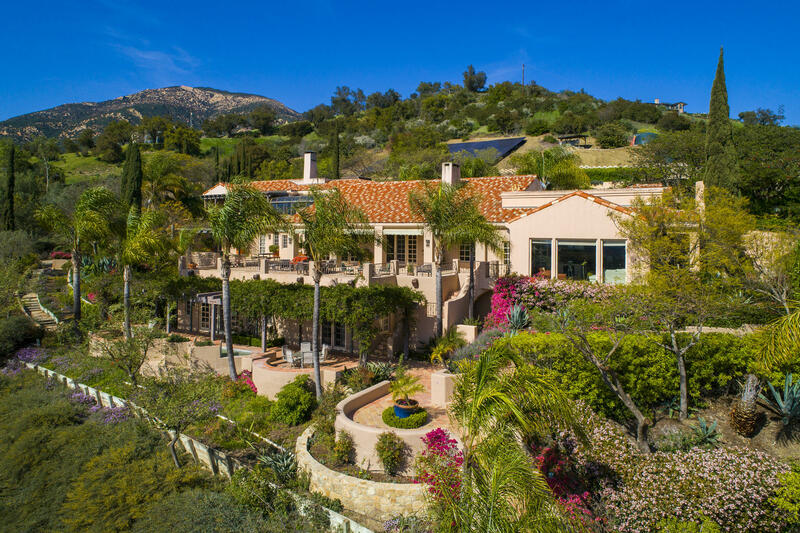 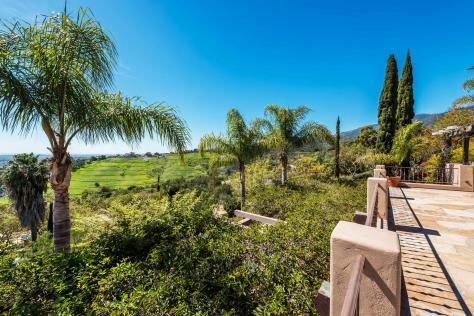 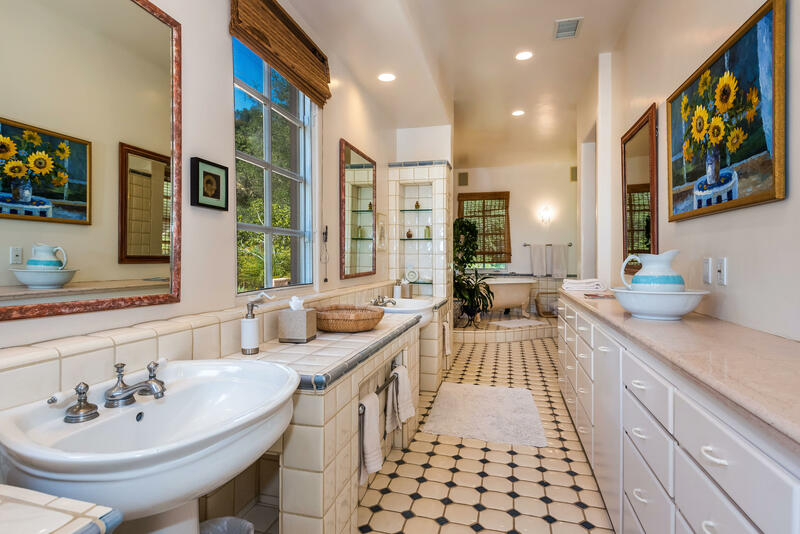 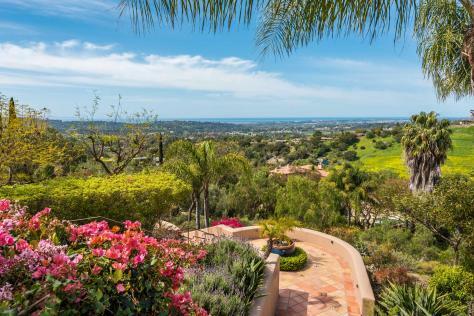 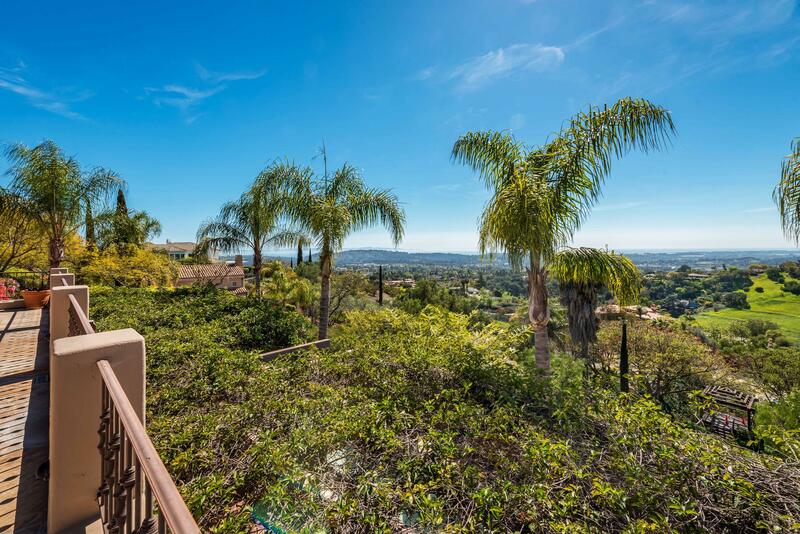 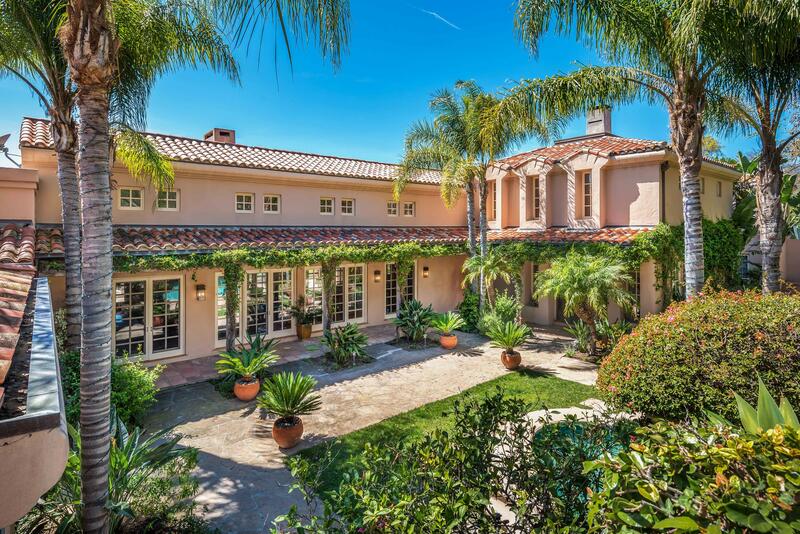 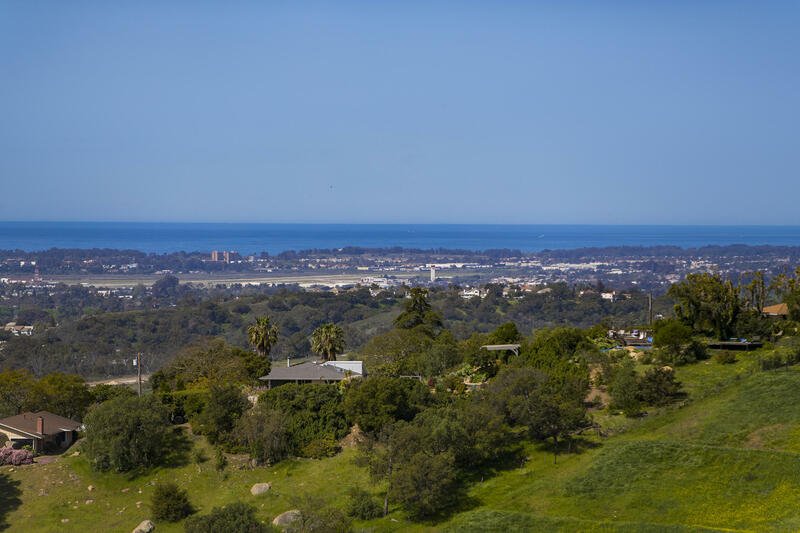 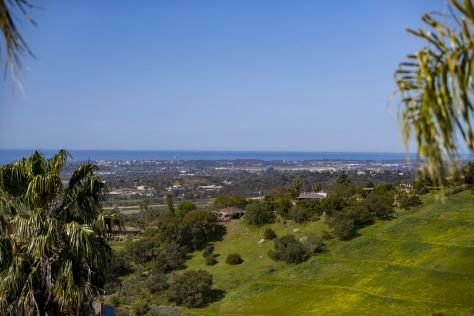 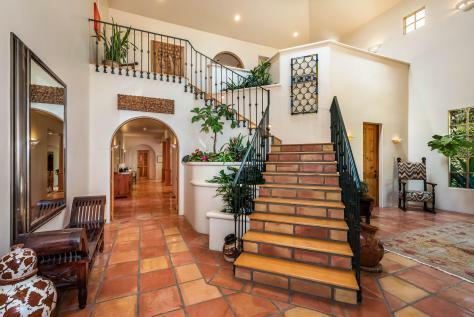 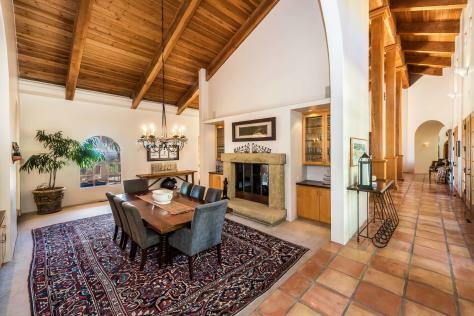 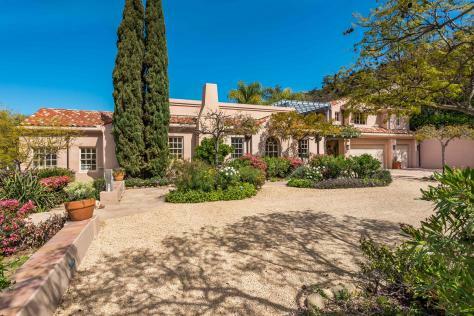 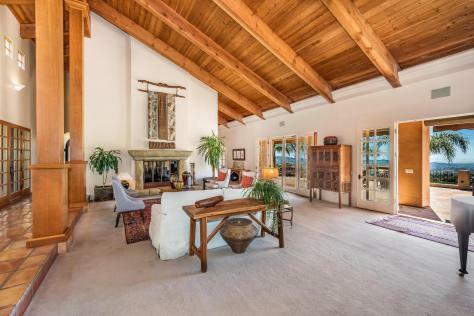 Nestled in the San Roque foothills, in the heart of Santa Barbara, surrounded by spectacular panoramic vistas down the rolling foothills to the city below, the Pacific Ocean stretching from Carpinteria to Goleta, the Channel Islands, and beyond. Built in 1991 in a classic style using traditional elements, the villa is well-equipped for grand scale entertaining and intimate family living.The expansive main residence offers 6 bedrooms and 6.5 baths. 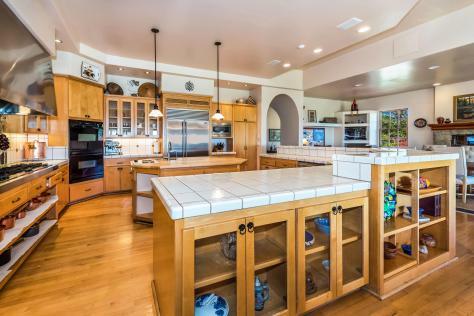 A gourmet kitchen opens to a spacious family space with dining area for casual living. 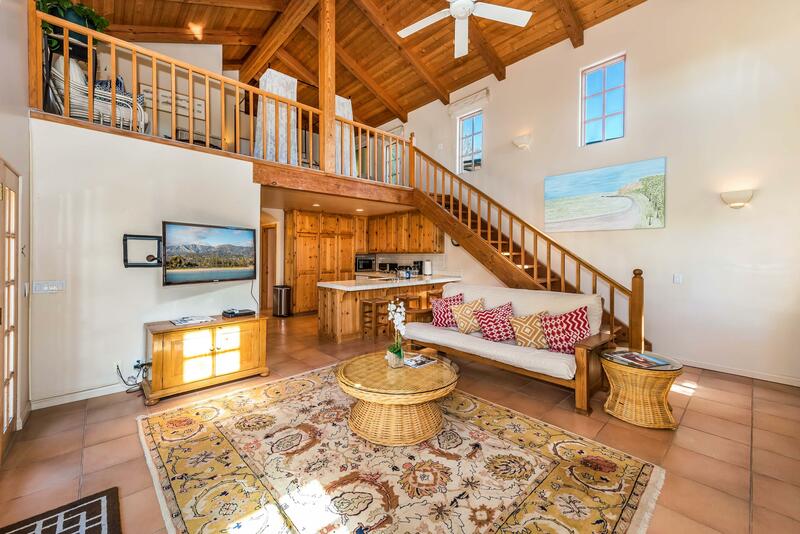 More formal dining and living rooms are anchored by sandstone fireplaces, massive wooden beams, and the soaring ceilings which are carried throughout the villa. 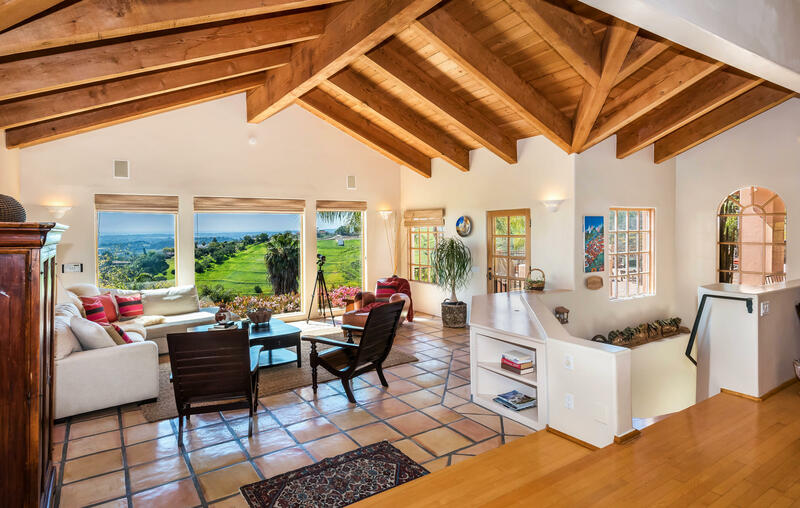 Outside, the extensive stone terrace offers sweeping views and showcases true Santa Barbara indoor-outdoor living. 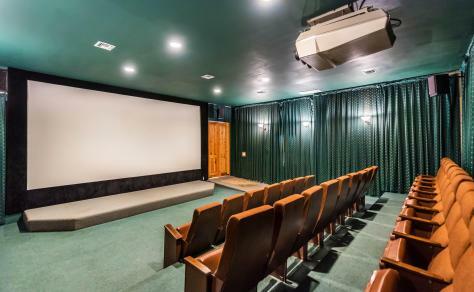 Downstairs discover the recreation room, wet bar, 300 gallon aquarium, and movie theater with authentic seating for 27. 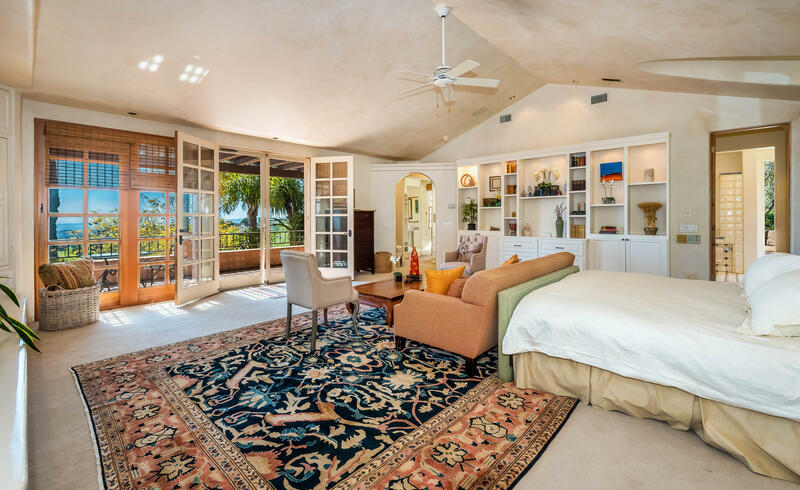 The luxurious 1,846 square foot master suite is secluded on a floor by itself with private landing, multiple balconies, tiled courtyard, fireplaces, and separate spa. Vine covered trellises lead to the pool area which includes a pool house with 2 additional guest quarters, a kitchen, and 2 full bathrooms. 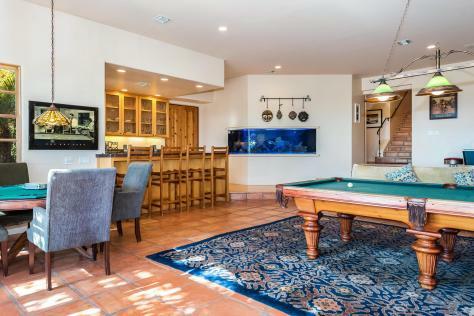 The detached 3-car garage is also topped with a separate full studio apartment. 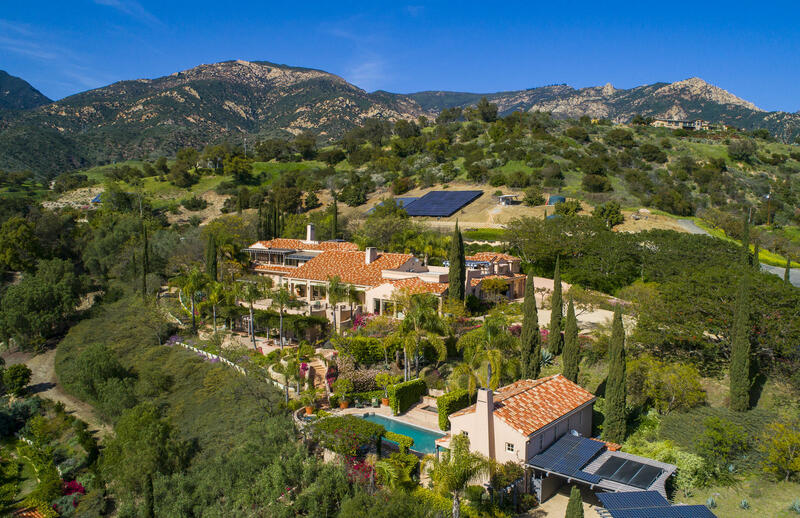 Two private water wells feed classic mature landscaping and tiled fountains, and solar panels to provide all of the electricity the villa requires. With AG zoning, orchards, plenty of room to stable your horses, and allowed construction of a caretaker's residence. 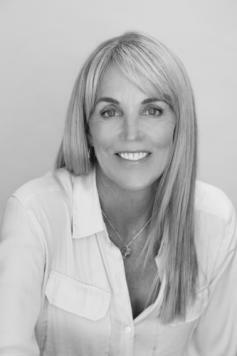 Plus, a buildable pad site with dramatic views for an allowed second residence to be developed. 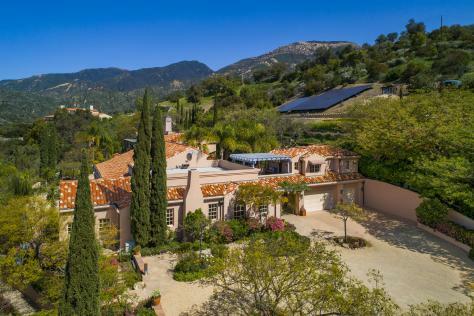 This property offers complete privacy with unbelievable convenience to town. A true one of a kind estate.